Having received his early education in Lugano, Dr. Stefano Regusci conducted his medical studies in Geneva and obtained his medical degree in 1990. He began his career as a resident in the Department of General Surgery at the Hôpital d'Aigle (1991-1993), then at the Hôpital de Bellinzona (1994-1995) and finally at the Urology Clinic of the Geneva University Hospital (1995-2001), with Prof. Graber and Prof. Iselin. 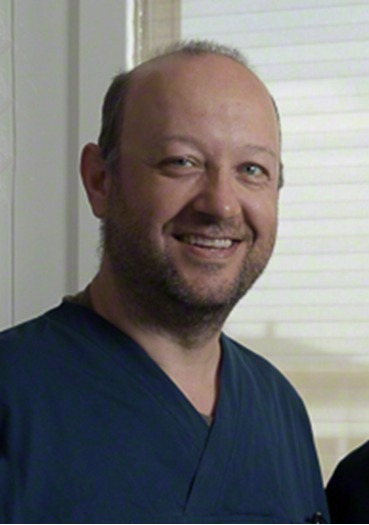 In 2000, Dr. Regusci obtained his doctorate and the title Specialist in Urology FMH (Swiss Medical Association). From 2000-2001, he worked as Senior Registrar in the Urology Department led by Prof. Iselin. Dr. Regusci has a keen interest in sacral neuromodulation for overactive bladder, urodynamics, focal therapy of prostate cancer, urological and radiological diagnosis of prostate tumours, as well prostate hypertrophy with various alternative therapies to conventional surgery. Dr. Regusci speaks French, Italian, English and German.